All that’s unusual, unexpected and wonderful about this album is encapsulated in the title of the album. Love; the word is loaded with meaning and emotion and so is the music. It starts on a poised note and is set at such a spritely lilt that it feels breathless in an unusually calm manner. 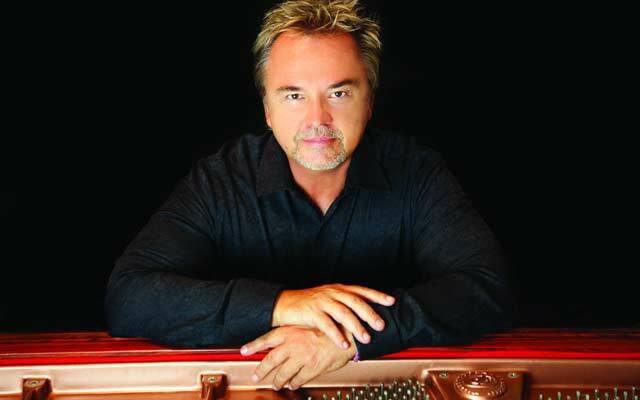 And you are never allowed to forget that Peter Kater’s playing is so clean, clear and precise and contained…all of this on a piano so beautifully tuned that minute nuances of expression and feeling are so much more suggestive than obvious. Moreover everything he plays – all of the surprising improvisations – are so unassailable that to listen to it feels so safe with music that soars with surprise challenging one’s perception of it absolutely and completely. 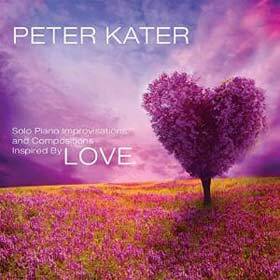 Peter Kater does pull many of the phrases around to a risky degree, but it never feels like showboating and egomania like other pianists’ performances of this ilk. Some of the performances throughout the recording – and it is hard to single any one out – have a chamber performance quality from the closeness of the recording and dryness of the studio acoustics. That creates an intimate and moving sense of authenticity. Add to that the swirling sense of dance behind all of the movements (in ever-widening circles in the slower examples) especially when Mr. Kater chooses to pull up even further than most. Pulse is respected to an extreme degree and the forward motion of everything is driven by a beautiful, languid metronomic tick, although inaudible, that is constantly transferred from Mr. Kater to the listener. The heartbeat runs deep from movement to movement with a consistency that also supports his choice to order the elements of the singular elements of this extended piece by way of what Peter Kater sees to be their harmonic progression (“Love”, “Innocence”, “Deeply”, “Intimacy” and so on). The same goes through for the rest of the programme. The youth of such playing coupled with its atmospherics has long been thought to be an impediment in the music being taken (artistically) seriously but the uncomplicated directness and the spotless quality of these performances is also one of the enabling virtues of Mr. Kater’s music. Also individual movements are well-characterised and effective, and each sparkles on its own as well as together with the others here. There is a wealth of precise articulation and subtlety throughout the programme and this too is a must surely be a welcome sign for Peter Kater’s music. Specific notes and chords align themselves beautifully with themes and frame each movement beautifully. The whole performance – very well recorded in an intimate but not claustrophobic acoustic – are aptly scaled to salon as well as occasionally to concert hall, but it is always the floating quality of the pianist’s hands that is magical to behold. If there is one thing that I find a bit overbearing it is the pink-ness of the package. The beautiful ‘sepia’ quality of the music is somewhat lost here – until you hers it, of course.